From Cambridge Analytica to Papa John's founder fallout, corporate missteps captured public attention and heaps of criticism in a year when the lines between brand and politics continued to blur. Every year inevitably has its brand stumbles, but 2018 brought a catalog of missteps that captured not just the attention of a marketing and advertising industry experiencing serious turmoil, but also broader scrutiny from the public. Widely criticized fails from categories spanning social media to fast food came in a year where the separation of politics, business and branding has arguably never been blurrier, and cultural conversations around movements like #MeToo and data privacy reached heated crescendos. At the same time, a growing body of research illustrates how consumers are holding brands more accountable, while also looking more frequently to brands for leadership during turbulent times. Almost two-thirds (64%) of surveyed global consumers now buy from or boycott a brand due to their stance on politics and social issues, according to the 2018 Edelman Earned Brand report — a 13-point increase over results from a similar survey the year prior. Such strong sentiments toward corporations manifested in 2018 in the form of social media backlash and boycotts, high-profile executive departures and the looming specter of potential regulatory action. What went wrong: Cambridge Analytica, a data consulting firm with ties to Donald Trump's presidential campaign, was revealed by a whistleblower to have abused the information of an estimated 87 million Facebook users. The news, following on the tails of revelations around Russian election meddling on the platform and more, set off a chain of investigations into the social network's data-sharing practices and how they were enforced by Facebook. The fallout: The scandal blew the lid off of Facebook's business operations in 2018, including how it targets ads to its massive user base. Ironically, this happened during a year when the company had put a greater focus on quality content and time spent on the site. While Cambridge Analytica could be cited as a bad actor that simply slipped under Facebook's radar, the news drew fresh eyes to how the platform handles privacy with brands, device makers and data brokers. Though advertisers haven't abandoned Facebook en masse, the upheaval appears to have impacted performance. Ad spending mostly bounced back after slumping from March to May, but ROI decreased from an index value of 2 in April to below 0.5 from May to August, according to an analysis by C3 Metrics. Revenue growth also hit a six-year low in Q3. A more instructive barometer for Facebook's health, however, might be found in user engagement. While the core platform has continued to gain users, Pivotal Research Group analyst Brian Wieser estimated that there's recently been about a 20% decline in content consumption per person. If the trend continues, advertisers might follow their target audiences elsewhere. Combine that with growing scrutiny into Facebook leaders like CEO Mark Zuckerberg and COO Sheryl Sandberg, and 2019 could be yet another bumpy ride for the world's largest social network. "Take all the politics out of it; this is a crisis of confidence based on people realizing that Facebook is more bad than good in our culture," Max Lenderman, CEO of School, a purpose-led consultancy that's part of Project Worldwide, said in emailed comments to Marketing Dive. What went wrong: A string of questionable behavior by Papa John's founder and former CEO John Schnatter came to a head when Forbes in July reported the executive used a racial slur and made other offensive comments on a conference call. Schnatter, who stepped down as CEO months earlier after pinning poor financial results on the NFL anthem protests, was ousted as chairman amid a fierce public outcry. The fallout: There's been plenty of bad behavior from CEOs in recent years, but few leaders have been so attached to their company's branding and history as Schnatter. That's placed Papa John's in a particularly precarious spot since its founder departed and sales have plummeted. Not helping matters: Schnatter launched a truther website pleading for franchisees and employees to support his efforts to regain control. "When the founder's image and reception in culture is damaged by actions and accusations, the blowback becomes visceral — almost personal." While the chain has benefited from an advertising blitz aimed at rehabilitating its image — and plans to pump more dollars into ads next year — sales still have a long road to recovery. Papa John's and new AOR Endeavor Global Marketing's redemption strategy has been centered on franchisees, but those owners are experiencing their own unrest. The Papa John's Franchisee Association, which represents roughly 44% of the brand's franchised locations in North America, in November tapped industry attorney Robert Zarco for representation in discussions with the company and Schnatter. A best-case scenario for Papa John's now appears to be getting acquired. It would be a long fall for a company whose former leadership was ultimately out of touch and deeply insensitive. "We choose to support brands that share our values and outlook on life. That's why founder stories are so important," Lenderman said. "They are a shortcut to a brand's 'why.' When the founder's image and reception in culture is damaged by actions and accusations, the blowback becomes visceral — almost personal." 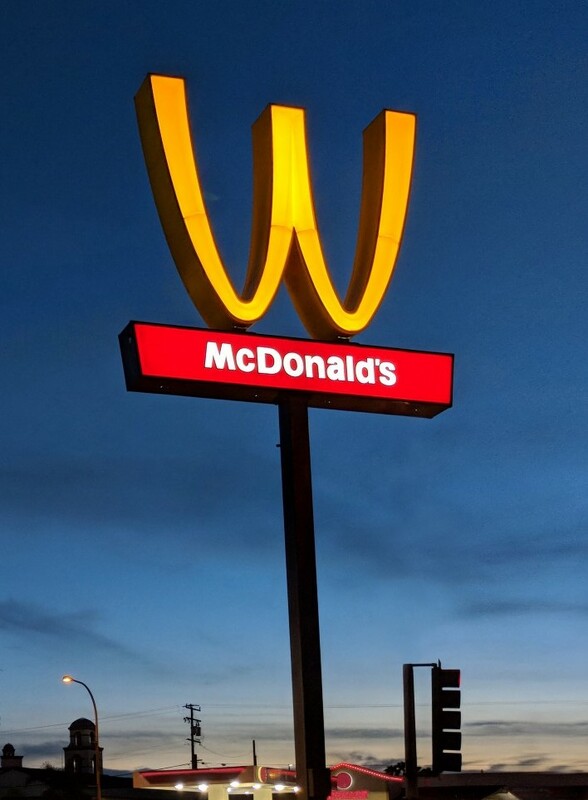 What went wrong: To show solidarity for International Women's Day in March, McDonald's flipped its iconic golden arches upside down into a "W." The gesture wasn't received well by many, as the fast-food giant faced accusations that it ignored allegations of widespread sexual harassment against women in the workplace. Critics including advocacy group Fight for 15 also took the opportunity to highlight McDonald's resistance to raising its company-wide minimum wage, noting that the issue tends to disproportionately impact women. The "WcDonald's" stunt became an easy target for meme fodder. The fallout: In the wake of cultural movements like Time's Up and #MeToo, plenty of brands have amplified messages of women's empowerment. The "WcDonald's" stunt — which became an easy target for meme fodder on its own — shows the importance of businesses living out the values they espouse in their marketing, lest they come off as cynical and inauthentic. "It's all too easy to pay lip service to a cause, a movement or an awareness month and the McDonald's backlash is a cautionary tale — that deep and palpable action has to be made way before the stunts," Sandi Harari, EVP and creative director at the agency Barker, said in comments to Marketing Dive. What went wrong: Heineken fumbled the ball twice in quick succession: one for a campaign launched in March promoting its light beer with the tagline "Sometimes lighter is better." The ads, which depicted a bartender sliding a bottle of Heineken Light past several black patrons before it arrives at a lighter-skinned woman, earned the ire of public figures like Chance the Rapper before being pulled. A few weeks later, a report criticized the brewer for its use of drink promoters known as "beer girls," who are predominantly young, paid low wages and reportedly susceptible to exploitation. The fallout: This entry is potentially surprising given how well some of Heineken's recent purpose-led marketing work has performed. Last year, the brand earned praise for its "World's Apart" campaign that showed people with opposing political views enjoy a beer together. Heineken isn't the first marketer to earn plaudits and then quickly have them revoked, demonstrating how being a truly purpose-driven brand requires consistent diligence and not just one-off efforts. Dove, which has helped lead conversations around body positivity and inclusivity, was called out for an ad last year that, like Heineken's, appeared to literally whitewash its subjects​ and was eventually pulled. When it comes to something like Heineken's beer girls, the problem is more systemic, mirroring what happened with McDonald's. The fallout for the brewer was also more dramatic, causing it to lose a partner in the nonprofit Global Fund. "For Heineken, the intention to be more purposeful found a home in content and creative expression but it also needed to be accounted for in operations, human resources, sales, corporate communications, etc.," Lenderman said. Heineken has since seemed to learn from its mistakes and reinvigorated its leadership team with a new CMO, Jonnie Cahill, and CEO in Maggie Timoney, who's the first female chief executive for a major American brewer. What went wrong: Influencer extraordinaire Kylie Jenner tweeted in February that she wasn't using Snapchat much anymore. Her sentiments followed an app redesign that bifurcated the platform's feed, with one side focused on publisher, brand and influencer content and the other on what users share. The Twitter post erased $1.3 billion of Snap's market value overnight. The fallout: Jenner's tweet wasn't the biggest issue impacting Snap this year — that would be the struggle to attract new users amid fierce competition from Instagram. But, like Cambridge Analytica, the news paints a picture of a platform facing an identity crisis. 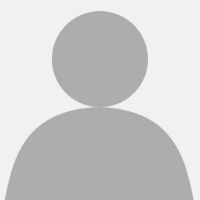 The redesign, announced in November 2017, ballyhooed by CEO Evan Spiegel and finally integrated earlier this year, has been a disaster, driving longtime fans off the service without attracting fresh ones. The Twitter burn also demonstrates the fickle relationship celebrity influencers have with platforms like Snapchat, and the necessity for deeper conversations between stakeholders in influencer marketing. "If there was a relationship with Kylie, perhaps she would have come to Snap to discuss the issues and look at it as an opportunity to work together in fixing the problems," Brian Salzman, CEO of the agency RQ, said in emailed comments. "With so many platforms and options for consumers to choose from, positioning and trust are so critical," he added. "As is a 'cool' factor. Hard to get, easy to lose." 6.) What happened to cleaning up digital? What went wrong: Marketers made a big stink about cleaning up the digital media ecosystem in 2017, citing issues like brand safety, transparency and ad fraud run rampant. Outside of pockets of improvement, the climate online hasn't generally improved and has in some ways worsened a year later. The fallout: Look at any major trade conference from the past 12 months, and the keynotes touch on the same things: the need for bravery, brand safety, transparency, security and so on. What 2018 showed is that much of that talk is surface level. Take Facebook, for example: not even a week after The New York Times released an explosive report detailing how top executives attempted to deflect criticisms away from major scandals, Ad Age published a follow-up on marketers' response, which amounted to little more than a shrug. The consistent lack of significant, concrete action taken in regards to platforms like Facebook suggests that marketers have become more embedded in systemic issues than they care to admit, and are not always the vigilant watchdogs they prop themselves up to be. In the end, it's possible that stricter laws and regulations, like GDPR or the California Consumer Privacy Act, may be the biggest drivers of change heading into 2019 and beyond, and as consumers overall become more aware and protective of their identities online. "Sadly, because some in our industry [have] been so negligent in respecting consumer data, we now see actual laws being passed to address these issues," Marco Scognamiglio, global CEO at RAPP, told Marketing Dive in emailed comments.